In my preparation I made two important decisions to engage the audience. 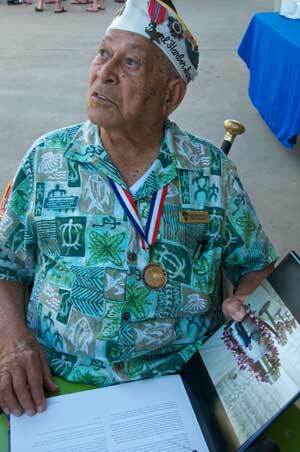 First to be very personal and tell stories I had never shared publicly before. And second to include a powerful call to action for the audience. Here I speak briefly about those decisions to engage the audience and the results. I believe that what is most personal is most universal – connects best with others. And the best way to be personal is through story. I made the decision to tell my three generations of wartime soldiers story (my father’s father, my father and me). I tell it for the first time in public with my WWII father’s story leading – the young kid from Jersey that turns 20 on the Beaches of Normandy. I leave him around his 21st birthday with a field hospital surgeon fighting to save his leg. I tell of his passing just before my first visit to Pearl Harbor and my first oil on the water photographs in October 2001. After sharing my discoveries about renewal in my collection of photographs of The Black Tears from 2009-10, I tell another piece of the story that preceded my first Pearl Harbor visit – my returning with my father to Normandy 55 years later and experiencing his personal renewal there with him on the beach as his emotions and snippets of stories bubbled up after being trapped inside for more than five decades – like the oil bubbling up. The story is complete – setup, conflict, resolution. Interactions with the audience immediately after the talk and in the days following tell me the stories resonated with the audience. Several of audience thanked me specifically for sharing my dad’s story of renewal, including an Iraq war purple heart recipient, spouse of a Marine currently deployed, a group of retired military friends and several Pearl Harbor Visitor Center volunteers. I believe that the purpose of giving a talk such as this is not simply to entertain, but to change the world for the better. As such, a call to action on the part of the audience is vital. For inspiration in this talk I went to another battlefield generations ago – President Lincoln’s Gettysburg Address. 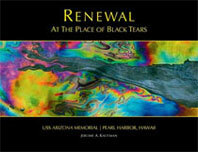 My book is entitled Renewal at The Place of Black Tears dedicated to the twin themes of renewal and reconciliation – renewal and reconciliation at a famous battle site – as this place transitions from primarily a battle site memorial to a peace memorial – engagement to peace. Lincoln is talking about a similar theme – the “new birth of freedom”. His famous call action is – “that we here highly resolve that these dead shall not have died in vain”. I’m compelled to include the living warrior as well in our resolve. As such, in my call to action I add a phrase – “that we here highly resolve that these dead shall not have died in vain nor shall the living among us live alone in pain. – nor shall the living among us live alone in pain”.